Waterproof shorts are, in my opinion, one of the MTB world’s greatest innovations of the last decade – but they are rarely cheap. 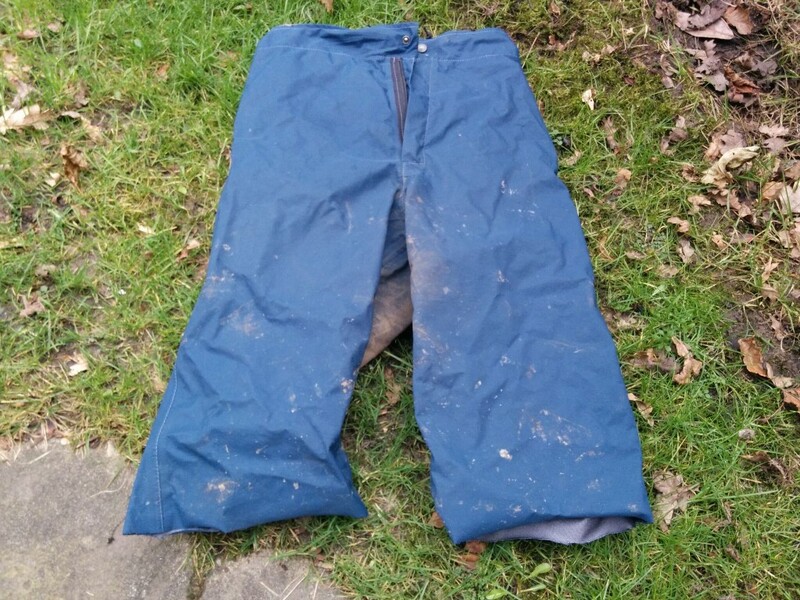 So after ekeing out a good few years of service from my Altura Attack ¾ shorts – I decided to take the advice of a couple of friends who had recommended getting military surplus Gore Tex overtrousers instead. A quick Google search found a pair of RAF keks in a pleasant blue colour – for the very reasonable price of £15 (plus a couple of quid postage, probably). It was nice to be able to cut the trousers to the exact length required. Sized medium, they fit my current post-Xmas 34in waist fine – with elastic allowing a good range of weight loss/gain – and I decided to cut them off around halfway down where my kneepads will sit. On the subject of which, there is loads of room for them to slip over my Fox Launch pads – which are reasonably bulky. On the bike they sit nicely in position and do a sterling job of keeping the wet and muck separate from my backside. They don’t slip down or ride up and they don’t rustle or make that infuriating legs brushing together sound you get from plasticky shorts. I really wouldn’t change anything about the cut, the fit is superb for riding and I haven’t even had any saddle/crotch snagging moments. The waterproof performance is as good as you’d expect from Gore Tex and they seem almost as breathable as a normal pair of shorts – certainly better than the bike-specific shorts I’ve owned in the past. They don’t have actual pockets, just through-pockets because they are designed to be worn over a pair of trousers. I was initially concerned that these would let water in, and was prepared to tape them up – but they seem to sit in such a way that this doesn’t happen. Despite having big gaping holes in the sides, water hasn’t been finding its way in. In really cold weather I’d consider wearing them over a slim-cut summer pair of shorts, just to add a bit of warmth, but normal undershorts have been fine so far in some near-freezing weather. 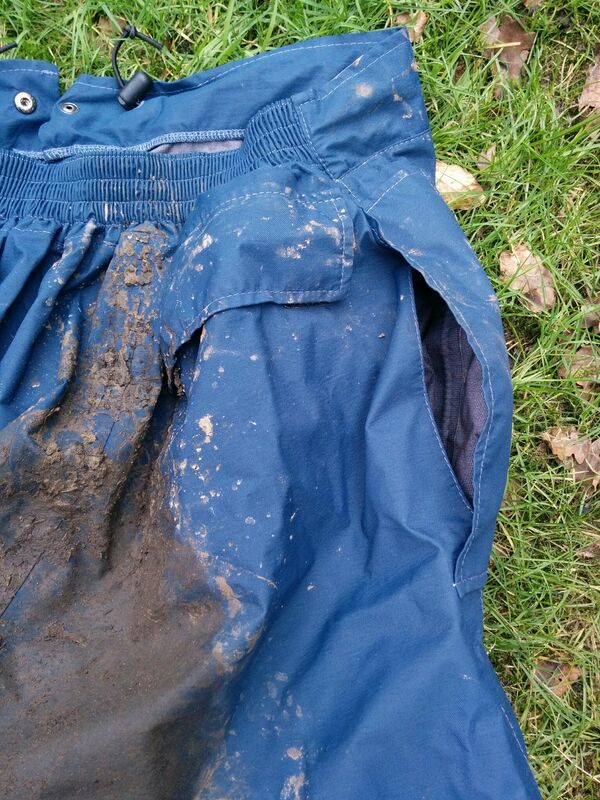 In summary, let me just say that I don’t think I’ll be buying bike-specific waterproof shorts again.